Girish Kasaravalli is a well known Kannada film director who has won the Golden Lotus for four out of the 13 films that he’s directed in the last three decades. He is known to be a perfectionist and probably the only Kannada film director who has not moved from parallel cinema to commercial cinema with time. 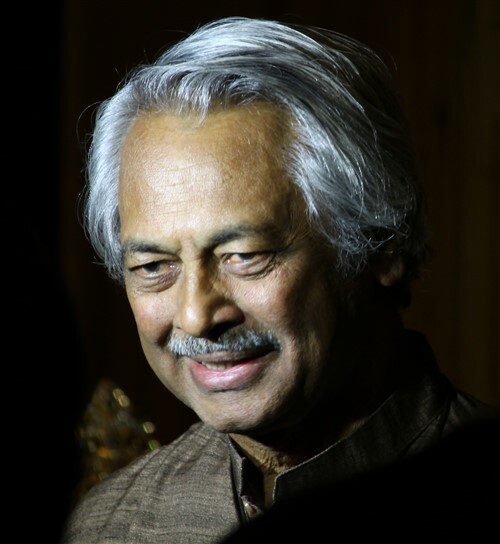 Girish Kasaravalli was born in 1950 in a village in the Shimoga district, Karnataka. He completed his primary schooling in his village, Kesalur, and his middle level schooling in Kanmarradi Middle School. He then moved to Manipal to complete his Bachelor of Pharmacy degree. The young Girish was very active in theatrical circles throughout his school and college days. His interest in the performing arts was fostered by his father, Ganesh Rao, who was an avid patron of Yakshagana and by his uncle, K V Subbanna, who was the founder of a popular drama company. Girish continued to be active on stage and dramatic circles after taking up a job in Hyderabad. He found it difficult to cope with the demands of a job and his passion for the stage. Having decided to convert his passion for the performing arts into his full time profession, he later opted to join The Film and Television Institute of India. At FTII, Girish specialized in film direction. He graduated in 1975, having won the President’s Silver Lotus in the Best Student’s Film category for his film Avashesh. Noted filmmaker, B V Karanth, was directing Chomana Dudi in 1974-75 and it was a measure of Kasaravalli’s brilliance that he was chosen to assist Karanth in directing Chomana Dudi in 1974-75. As an independent director, Kasaravalli directed Ghattashraddha in 1977. The movie attempts to show caste divisions and the fate of widows in the society, as viewed through the eyes of a young school boy. This movie, based on a novel by U R Ananthamurty, won Kasaravalli his first Golden Lotus in 1977. After completing this film, Kasaravalli joined as the faculty at a film institute and was active on stage and in drama. In the year 1987, he made his second film Tabarana Kathe, based on the travails of a civil servant in getting his pension, for which he won his second Golden Lotus. The following years were fruitful ones for Kasaravalli as he made critically acclaimed films like Mane, Ek Ghar and Kraurya. Another lull in his film making career was followed by the superb Thaayi Saaheb 1997. This film is considered best among Kasaravalli’s movies and showed the transition in Indian society over the 50 years starting from 1947. Dweepa in 2002 was a movie that dealt with the displacement of people due to the building of dams and got Girish Kasaravalli his fourth Golden Lotus. Girish Kasaravalli tried his hand at making a television serial, Grihabhanga. Movies like Hasina, Naayi Neralu, Gulabi Talkies and Kanasemba Kudureyaneri were appreciated for their flawless scripts and editing. Girish Kasaravalli has won a well-deserved reputation as a perfectionist and an exacting director. It is often stated that he does not start work on filming a script till each scene is crafted to perfection. Artistes vie to work with him as he has exacted memorable performances from his actors, be it Jayamaala in Thaayi Saaheb or the late Soundarya in Dweepa.